December inspires us to reflect back on 2017 and begin goal-setting for 2018. Social responsibility is a core value at Ruben Digital. As a family run business, we find that volunteering in our community is a wonderful way for us to spend time together. Individually it opens the door to personal and professional growth. Did you know that volunteering is now considered a great way for finding jobs and networking? Building strong relationships in the community enhances your company’s marketing strategy. Aligning with a particular nonprofit or several organizations opens many doors: Expands the team’s network, conversations may generate leads and recruitment. 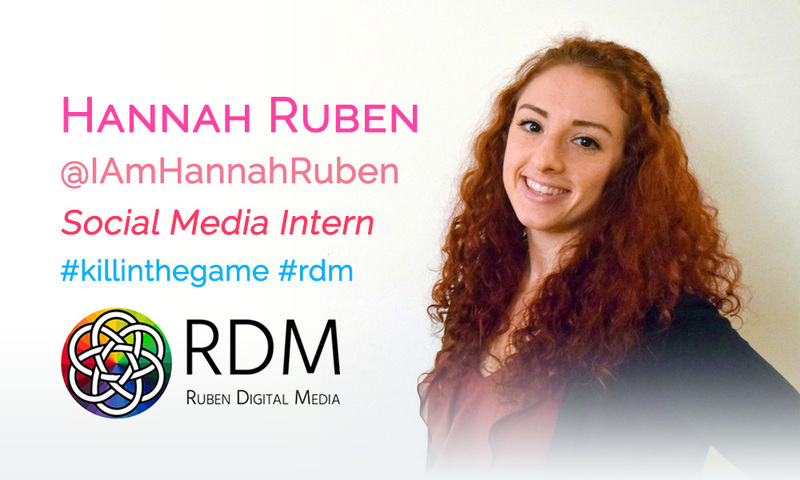 The Ruben Digital team loves working together both in and outside of the office. We work on our team building at various events. During the summer Paige & Paxton Stem Event at Blue 1647, seeing the smiles on the kids’ faces and watching their curiosity soar made us proud to be part of something bigger than ourselves. Annually we help the Hunger Resource Network distribute food to shelters and churches throughout Illinois. Nate is a member of the Northbrook Rotary Club, frequently donating his time and skills for philanthropic causes. Our team helped set up the Rotary’s “Diamonds & Denim” fundraising event in November. The high-spirited energy that propels our team by doing good for others reaches back in the office – positively affecting our creativity and strengthening our client relationships. While many organizations fundraise and host charity events throughout the holiday season, it’s vital for small businesses to stay involved with local nonprofits year-round. “Consumers expect companies to be good neighbors and a community service organization. That’s become a license to operate,” said Joan Steinberg, Morgan Stanley’s 20 year Community Affairs Team Leader. Philanthropy is integrated throughout the year at Ruben Digital. We align ourselves with Northbrook Rotary, Hunger Resource Network, Northbrook Chamber of Commerce, Pathways, D214, CompTIA, Blue 1647 and the list continues to grow as does our passion to make a difference! Figuring out the types of nonprofits that speak to your organization is as personal as its branding. Improve your community connection by committing to a few events in 2018 and see where these relationships between your company and nonprofit may lead! A few resources for upcoming events: Volunteer March, Chicago Cares, Jewish United Fund, and Hands On Suburban. The Ruben Digital team wishes you a Healthy and Happy Holiday Season. Challenge yourselves to a socially active New Year!